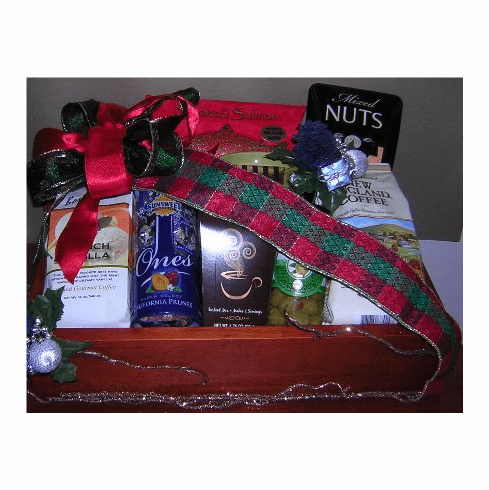 descriptionThis Free Shipping Happy Holiday gourmet food gift basket is just in time for the Christmas Holiday season. Order this Christmas gift basket now and have it delivery right to your place of business of to your recipient resident, place of business, hotels, School, Hospital, or even ship this holiday basket to arrive in time for the holiday. KJ Paula Gift Baskets wish you a HAPPY HOLIDY and a prosperous NEW YEAR.